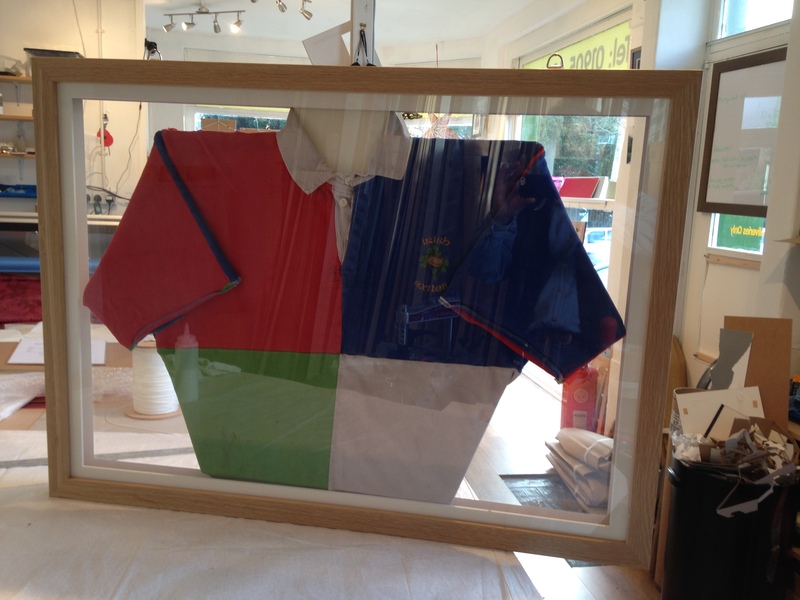 The customer’s requirements included being able to see both sides of her husband’s rugby shirt (to show all the damage caused through use on the pitch. 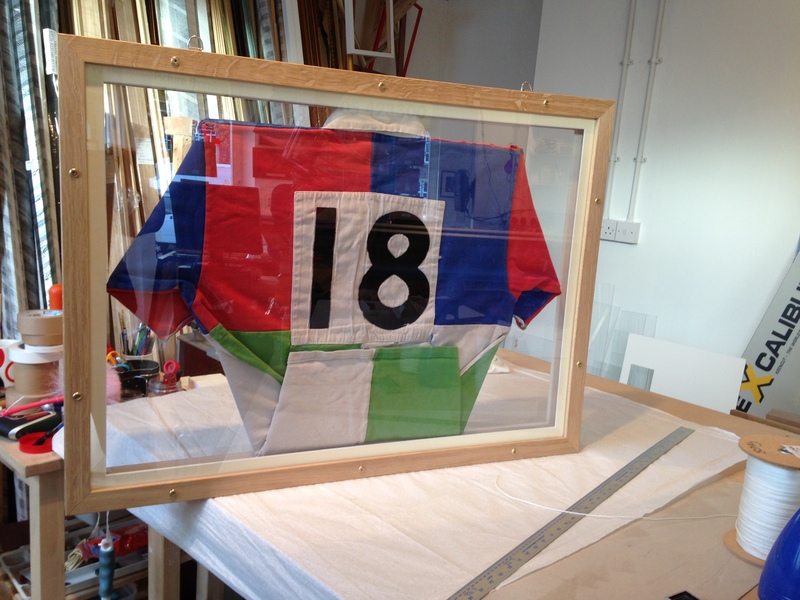 This needed 2 solid oak frames joined back to back and the ability to attach a chain from 2 points on top for hanging. I hope the customer’s husband liked the present.